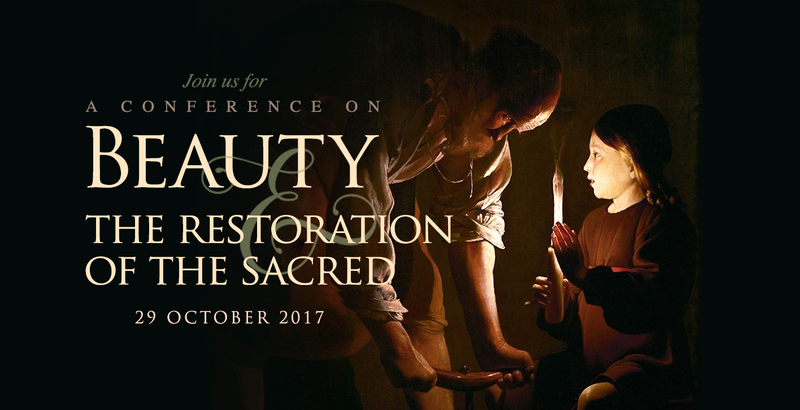 This October 29th, the Catholic Art Guild, a Chicago-based community of artists, will host a landmark conference bringing together leading philosophers and artists to rediscover the power of Beauty in the modern world. 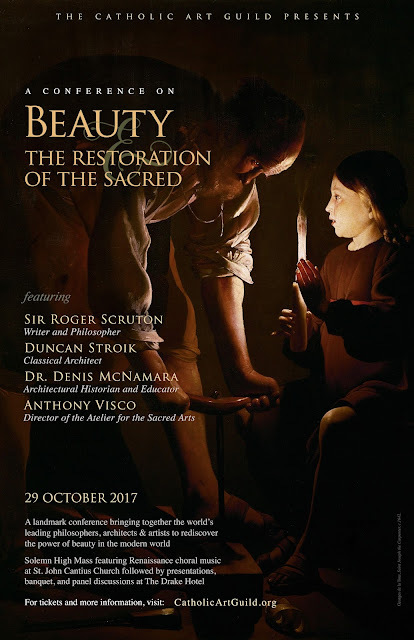 The conference, entitled “Beauty and the Restoration of the Sacred”, will feature English philosopher Sir Roger Scruton, well-known for his BBC documentary “Why Beauty Matters,” as well as architect Duncan Stroik, classical artist Anthony Visco, and art historian and educator Denis McNamara. 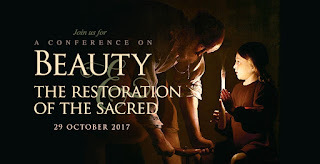 The ground-breaking conference opens with a Solemn High Mass featuring Renaissance choral music in the baroque splendor of Chicago’s historic St. John Cantius Church, a parish well known for bringing beauty into Christian worship. Conference presentations and discussions will take place at the The Drake Hotel, followed by an elegant banquet, wine service, culminating in a stimulating panel discussion.